An idol or an image is a living embodiment (arca) of God. It is not a lifeless form. Life is poured into every image or idol when it is reverentially worshipped with devotion. Devotion has such power. According to our Puranas, with devotion you can awaken the divine power which is hidden in any object. By overcoming the duality of the subject and the object or the knower and the known you can experience oneness with the divinity who is present in all things. Many Hindus have reservation about the use of the word idol in reference to the practice of worshipping the forms of God. They are justified in their response because in recent times many meanings have been attached to the word. We are using it here because it is how many people know the practice and search for the information about it. Idol worship (murthi puja) or image worship in Hinduism refers to the worship of the names and forms (murti) of God, any divinity or reverential person such as a guru or a saint. The practice is unique to Hinduism. Image worship is also practiced in Buddhism and Jainism. Buddhists worship Buddha, Bodhisattvas and several deities. Jains worship the Thirthankaras and other Jinas. However, both religions do not believe in creator God. Hence, image worship of God is found only in Hinduism. According to Hinduism, the whole creation is a form of God. Every aspect and form in it reflects his glory because God is hidden in each of them. The whole creation is sacred because it is suffused with the presence of God. Hence, every aspect of it is worthy of worship. When you say, "God is this or that," you are limiting him. When you say, "God should be worshipped in this or that manner only," you are again defining and limiting your methods of worship. Some people scoff at the idea of idol worship as an act of superstition. However, devout Hindus accept idol worship as a simple way of expressing their faith, love and devotion to God. There is a childlike innocence and purity of approach when a person stands reverently in front of an idol or an image and bows to it in total submission. It is possible only when a person has strong faith and no egoism. Worldly people or intellectuals who have strong egos cannot easily surrender to God or worship his images with simple faith. However, those who worship God with devotion and humility know that idol worship connects them to God and open their hearts to divine love. A devout Hindu is not ashamed of going to a temple and bowing before an idol. He has no hesitation to stand in front of it and speak to it as if he talking to an individual with exemplary faith and devotion which is not of this world. He may be rich or poor, seeking something or simply praying without any expectation, educated or uneducated, his devotion and dedication to God and his service are unquestionable. The idols may not speak to him, but he knows that his prayers will surely be heard, and his devotion and love to the deity will surely be reciprocated. Even if his prayers are not answered, he continues his worship considering it a part of his karma, fate or the way God sometimes chooses to respond. Deep in his heart he knows that he is engaged in a spiritual practice, and in the end it will only do him good and take him closer to God. When Mohammad Gazni invaded India and attacked the Somnath temple, unable to defend themselves or the temple, the priests who were serving in the temple continuously prayed before the deity for days seeking his help and protection. In the end, no help came forth. The temple was plundered, the idols were destroyed and desecrated, and the priests were killed without mercy. History is replete with such instances where Hindu temples were destroyed, and the idols were subjected to desecration and senseless vandalism in the medieval times by Muslim armies. The gods of Hinduism allowed it to happen. They remained silent and offered no help to the defenders of faith. It does not mean the gods were helpless. They probably let it happen as part of the progression of time upon earth. However, amidst all this mayhem, God seemed to have opened another door for the preservation and resurgence of Hinduism. The period witnessed the rise of the devotional (bhakti) movement and renewed interest in idol worship. Numerous saints appeared on the scene and helped people connect to their deities through reverential prayers, ritual worship and worship of God’s images at homes and in the temples. The wanton violence and desecration of Hindu temples by the invaders could not shake the devotion of Hindus to their gods and goddesses and their commitment and dedication to the faith of their ancestors. Anyone who believes that idol worship is a primitive or superstitious practice is mistaken. Hindus do not worship the idols of their gods in vain. An idol or an image of a deity is just a symbol, or a form, which serves as the object of worship or concentration and meditation and helps the devotees to connect to him. When you greet a person, you actually greet the body or the form of that person. You assume that the body is the person although the person is hidden in the body. The same holds true in case of idol worship. Ignorant people see the idol. The devotees see the deity. It is a matter of perspective or belief. The devotees know that the ultimate reality is beyond the senses, beyond names and forms and beyond the field of Maya or illusion. They know that although the objective reality does not truly represent God, it has its own value and importance in our understanding of truths, in our worship of God and in our experience of transcendental states. History proves that on the path of devotion, many people in the achieved liberation through image worship. They proved that with faith and devotion one could awaken the deities that are hidden in the idols and make them respond and reciprocate to their prayers and personal requests. Their experience shows that idol worship is powerful technique to connect to God. If there is enough devotion in the heart of a devotee, God would directly respond to those who worship his forms as it happened in case of great devotees such as Mirabai, Sant Tukaram, Shri Ramakrishna and Yogananda. They proved beyond doubt that idol worship has its own brighter side, and through simple faith and intense devotion to his idols or images one can realize God. The Vedic Aryans did not worship idols although they invoked various gods and goddesses through elaborate rituals and sacrificial ceremonies. Idol worship probably entered the Vedic religion or Brahmanism in the post Vedic period, when many other native traditions of the Indian subcontinent were integrated into it during the eastward and southward expansion of the Sindhu Saraswathi civilization, which originally thrived in the western region, on the banks of the now extinct River Saraswathi. Probably Shaivism and Vaishnavism played an important role in elevating it as an acceptable form of divine worship and domestic worship. The practice was definitely popular during the Mauryan period both in the North and the South. It gained further popularity in the Post Mauryan period when idols and temples, first in wood and later in stone, began appearing in various parts of India. The temples legitimized idol worship and further elevated its ritual and spiritual importance. The Guptas were great worshippers and patrons of Brahmanism. They built many temples in honor of Hindu gods, especially Vishnu. There are enough reasons why Hindus worship idols to express their devotion and communicate with gods and goddesses. There is no doubt that idol worship is a superior form of divine worship, a very simple way of declaring one’s faith in God, if we put aside the empty ritualism and the pompous display that are generally found associated with it. In the hands of sattvic people it becomes a transformative practice while in the hands of tamasic people it degenerates into a vain and delusional practice. We are presenting below a few insights into why a devout Hindu worships his idols so dearly while the rest of the world looks at him with mixed feelings of scorn, incredulity, amusement and disbelief. 1.It is the easiest way to instill faith and devotion in people. As an abstract concept, God may be appealing to the intellectual minds. However, ordinary people who are busy with their own lives and who are not well versed in the scriptural knowledge or religious scholarship, may find it difficult to grasp the deeper knowledge of the Self or the abstract notions of an invisible, formless God. For them, idols and concrete images are extremely useful and convenient to express their simple devotion and connect to the idea of God at the mental and emotional levels and on the most personal terms. An image can directly appeal to a devotee and instantly draw him into a reverential and devotional state. In his mind it comes to life according to his imagination and expectations. It becomes a living presence in his consciousness, representing all that he holds in great esteem about him in his thoughts as the compassionate giver of boons and blessings, who responds to his woes and supplications and helps him in difficulties. 2. It is a way of acknowledging the omniscience and omnipresence of God. If God is omnipresent, then everything in the universe, including the idol one worships, is filled with His energy and presence. Everything in the universe is equally sacred and worthy of worship since God equally pervades all and is present in all. When we look at the picture of a person, we almost feel as if we are looking at the person, not his or her image, although we know what we are looking at. If the image belongs to a great leader, spiritual person or saint, we treat it with even more respect as if we are meeting the real person. If someone mutilates your picture, or that of a person whom you like or love, you may feel greatly offended by it and show your anger. In all these cases, the images are coming to life in your thoughts or your imagination. In idol worship also the same happens. The idols become living and breathing realities in the imagination of their devotees, who will feel the same emotional pain or reaction if anyone shows them disrespect or contempt. 3. Traditionally, it is an approved practice. Hinduism approves idol worship as a legitimate practice. The scriptures sanction it. The epics and the Puranas are replete with instances of the practice. According to them even gods and demons practice it to impress the higher gods and obtain boons from them. In the epic Ramayana both Rama and Ravana worshipped the images and symbols of Shiva. In the epic Mahabharata, Arjuna worshipped Shiva to obtain the might Pasutpatha weapon. Ekalavya worshipped the image of his guru Dronacharya. In the Bhagavad-Gita, Lord Krishna cautions people about worshipping the unmanifested Brahman. He also gives the assurance that in whatever form and manner people approach him, he will accordingly reciprocate. The Tantras contain numerous conversations between Shiva and Parvathi about how to ritually worship the various forms and names of Shiva and Shakti for self-purification and liberation. Thus, Hinduism does not disparage idol worship. Besides, it is also in conformity with the basic spirit of Hinduism which gives freedom to its followers to worship God in any form they choose according to their choice. It even approves the mental worship of God’s images and forms. 4. The idols help the devotee become deeply religious. A devout Hindu worships his favorite deities in the temples or at home to fill his mind with their thoughts and keeps himself in a certain, reverential and devotional state as he engages himself in worldly activities and obligatory duties. The practice reinforces his faith and his confidence to face the problems and difficulties in life. When the idols of the gods are installed in the house or in a puja mandir (place of worship in a house), the very house becomes an abode of gods, a sacred place or a temple by itself. By their very presence in the house, the idols remind the devout members of the household of their divine presence amidst them and the need to live religiously and ethically to keep the house clean and sacred and free from evil influences. 5. They serve as objects of concentration and meditation. More than any abstract concept, an image or a symbol (yantra) serves as the best aid in practicing concentration and meditation. By keeping the mind concentrated on a particular image, one can bring it under control and stabilize it in the thoughts of the deity. Recent research confirms the beneficent effects of meditation, and how the mind can be effectively used to heal the body or change one’s way of thinking and attitude. There is some growing evidence that thoughts can manifest reality. It is now a widely accepted fact that guided meditation and visualization technique can help people to overcome their hidden fears, control their emotions, change their responses, or learn new behavior. The ancient seers of India were aware of the benefits of concentration and meditation. Hence, they encouraged the internal and external rituals and domestic worship. They knew that concentration and meditation upon the forms of God, and objects of Nature helped people control their fickle minds and become stabilized in the thoughts of God. 6. In idol worship the "true" worshipper becomes God! An idol, form, or image of God symbolically represents the whole process of creation. According to the scriptures, worlds and beings came into existence when Purusha (Divine Will and consciousness) enters Prakriti (Nature, Energy or Matter) and becomes established in it. Their association or union results in the formation of diversity. The world is a projection of God in the field of Nature. The forms and ideas are already present in the consciousness of the Cosmic Being (Isvara or Purusha). He brings them to life by pouring into them His creative energy. Before creation, the material universe (Viraj) exists as an idea in the cosmic consciousness of Isvara. When the creation begins, he breathes life into it with his creative energy and brings it to life. Our world is jagat, the one which is awakened and illumined by the light of God or that which shines with the brilliance of the Sun. When an idol is worshipped with intense love and devotion, almost a similar process takes place in the mind of the worshipper. The idol is no doubt inert and inactive. At the physical level, it is just a piece of stone, clay, wood or some other material. However, in the mind of the devotee it comes to life as he pours his love and devotion into it and makes offerings to it. It happens repeatedly whenever a devotee worships it. Hence, it is believed that not all idols are alike. Those which are ​more frequently worshipped by more people accumulate higher power in proportion to the offerings they receive. Thus in worship, devotees step into the role of God. They put life into the materiality of the idols and make them alive. 7. The idols help us cultivate sameness and equanimity. Like our gross bodies, the idols are also impermanent and destructible. Indeed, some idols are immersed in water or discarded after they are worshipped. Worshipping the destructible forms of God remind us of our own impermanence, the impermanence of the world and the need to work for our liberation. Some idols which Hindus worship in ancient temples look fierce or unusual with grotesque bodies. They disturb our sense of proportion, beauty, symmetry and harmony. By worshipping them one overcomes attachment to superficial beauty and learns to see the truth which is hidden in the things, beyond their names and forms. The idols also teach us to treat the whole creation with respect and recognize the presence of God in all objects. Hence, Hindus not only worship idols in temples, but also natural objects and phenomena such as the rivers, sacred trees, mountains, natural symbols, the sky, the earth, the oceans, the stars, the sun and the moon and other planetary bodies. 8. It is a very powerful technique to cultivate purity and relate to the deity. Idol worship is more effective than praying. In idol worship you combine the power of prayer with the power of concentration and meditation. Your further reinforce it with ritual and spiritual power. When you worship the idols with devotion, you combine all these energies into a powerful force and channel them in their direction, creating in the process a powerful field of sacred energy. It is why many devotees experience peace and feel energized after they perform domestic or temple worship. In idol worship, you also invoke the power of devotion, which according to the Bhagavadgita, brings the devotee closer to the deity who is hidden in the idol and strengthen their relationship. 9. It is a declaration of simple faith in the universal presence of God. God cannot be known with the mind or our limited senses. None can understand that which is infinite, absolute, transcendental, and hidden. No amount of intellectual effort is going to improve our knowledge of God or his creation. We may gain only a partial understanding of it or several perspectives, which may not be very helpful to arrive at truth except in relation to other truths or in particular contexts. You may worship an invisible, formless God, but it is not going to give you any better understanding or knowledge of Him than those who worship concrete forms of God. Both are subject to the same constraints of knowledge and understanding. God is far and above, vastly unknown or known only through flashes of intuition or dreamlike experiences. Ordinary people with their limited awareness cannot comprehend the truths of Brahman, who is beyond the mind and the senses. Idol worship is a simple declaration of faith in an otherwise unknown and incomprehensible reality of God. A devotee who worships the idols is not deterred by any of the limitations to which we are subject. He takes them in his stride or ignores them and conducts his worship with complete faith, reducing the infinity of God into a concrete image and holding it to be the whole truth. It is as if he is content with his limited knowledge, undeterred by his ignorance, and understood God as the omniscient and omnipresent power who listens to all prayers and watches over His devotees from here as well as from above. Idol worship is a transformative practice which contributes to the predominance of sattva. It is not known to many that before a devotee worships an idol in the most reverential manner, he has to ritually install it and breathe life (prana) into it. The same is done when he worships a symbol or tantric diagram (yantra). It is called establishing life breathe into the idol (prana pratishta). In the puja ceremony which is usually performed in the households, it is done whenever the deities are ritually worshipped according to the standard procedure. However, in temples it is done only in the beginning when the idols are installed in it for the first time. The idea of it is that you are worshipping living forms of God, not a mere physical form. When you do it, the prana that you pour into the idol comes from you. It is your life energy which you symbolically put into the it. When the deity in the idol finally departs at the end of the ritual, the prana which you poured into it returns to you, purified and elevated. Inside your body, it purifies you further. It is also said that when a devotee worships an idol, he also worships the deity who is present in him as his hidden Self. All the prayers that you offer to the idols are also simultaneously addressed to the hidden deity. You are the priest in the worship of the deity, while your hidden Self is the silent priest or the Brahman, who makes sure that your prayers reach their destination with augmented power. When a devout Hindu folds his hands in front of a deity to pray or offer his respects, his hands point not only to the deity in front of him but also the deity that lives in him. Thus, thus symbolically in idol worship one not only worships the concrete form of God (murtam) but also the subtle, invisible and formless Self (amurtam) in the body. Therefore, one should not undermine the importance of idol worship in Hinduism. Some present day people may regard it as a primitive and superstitious practice. However, the scriptures undermine neither its value nor its importance. Historically it has a long history in the Hindu ritual tradition. The scriptures validate it as a standard method of divine worship. Considering that the Vedic sacrifices are very elaborate ceremonies which only trained priests can perform, idol worship presents a better alternative to the masses who are not conversant with the scripture and who want to conduct their worship without the intervention of priests. For religious people, it is a convenient way to communicate with their gods and seek their blessings. In this regard, the following message from the Isa Upanishad (9 & 11) is worth mentioning, which rightly sums up the need balance in the pursuit of liberation. “Into blinding darkness enter those who worship ignorance and into still greater darkness those who worship knowledge alone ... He who knows both knowledge and ignorance together, crosses death through ignorance and attains immortal life through knowledge." 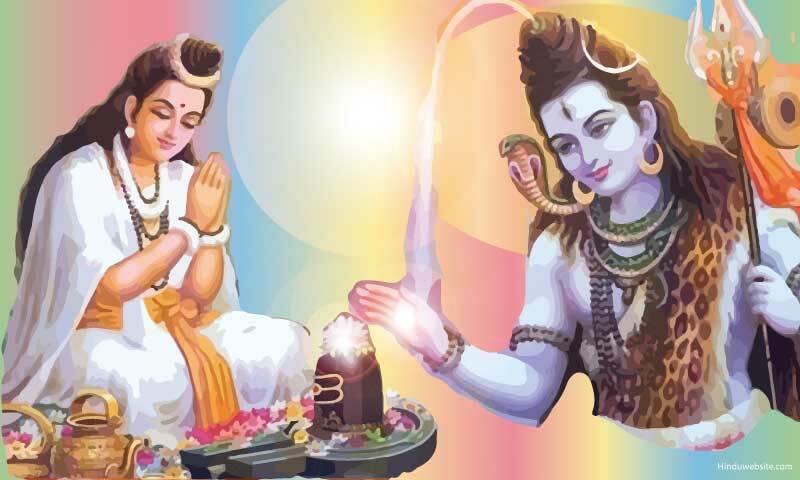 Why Idol Worship or Image Worship is Justified in Hinduism?